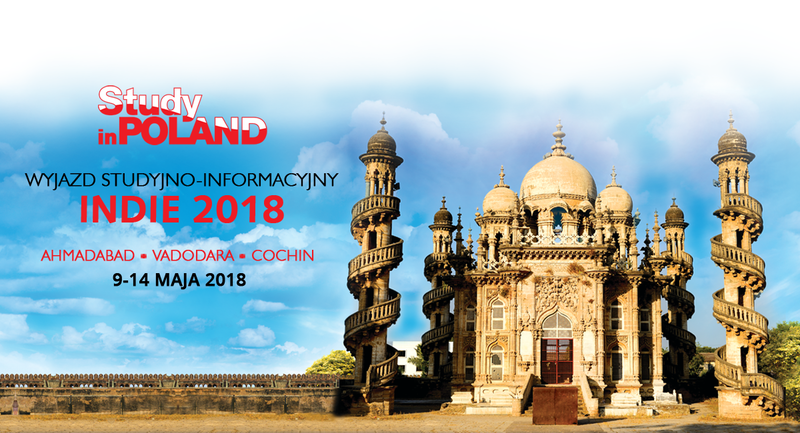 The inauguration of Polish Universities Days INDIA 2018 will begin on May 9-10 in Ahmedabad (Gujarat). The program includes three cities - Ahemdabad, Vadodara and Cochin and combines visits to universities and academic "round tables" with participation in international educational fairs. 30 people representing 15 Polish academic institutions as well as Conference of Rectors of Academic Schools in Poland (CRASP) and the Education Foundation Perspektywy will participate in the event. His Excellency, Ambassador of the Republic of Poland to India Adam Burakowski, the honorary participant and guest of the mission confirmed his participation. India is one of the most promising recruitment markets. Almost half of its 1.3 billion inhabitants are people under the age of 25. It is estimated that India lacks 400-700 universities to satisfy the demand of young people for education - that's why over 200,000 Indians travel abroad each year. These students, according to the data of the Association of Indian Chambers of Commerce and Industry, spend a dozen or so dollars a year on learning abroad!